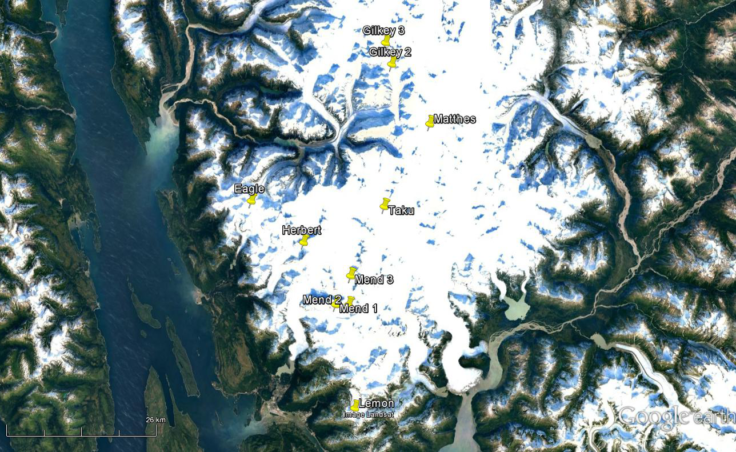 Scientists this year started sampling the snow and ice above Southeast Alaska’s glaciers for the particles left from over from forest fires, diesel engines and industrial activity. The particles of black carbon can accelerate warming of glaciers and the atmosphere. The big question is: where does this carbon come from? 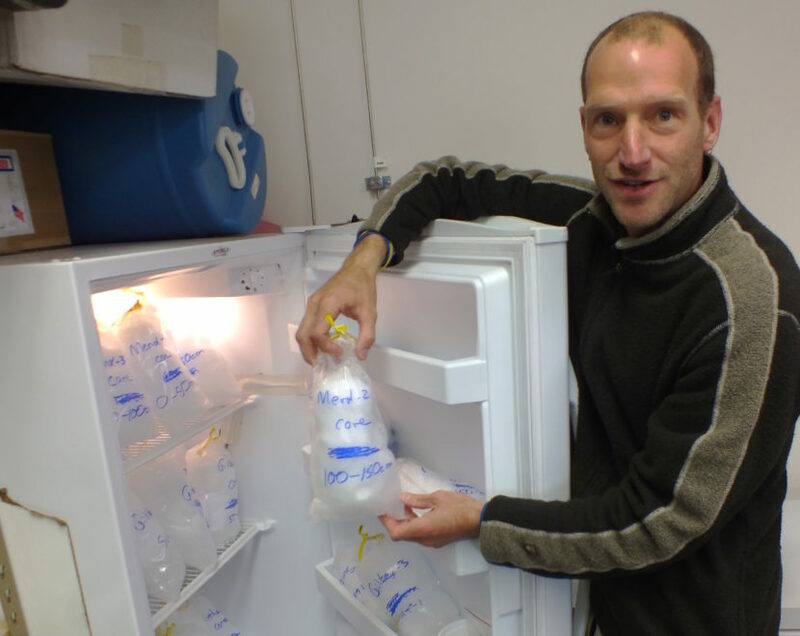 “That’s a core sample right here,” Jason Fellman said as he opened an upright freezer in a University of Alaska Southeast (UAS) research facility located off campus in Juneau. The freezer is filled from top to bottom with plastic bags, packed with about a liter of snow. A nearby chest freezer is partially filled with even more bags of ice and snow. Fellman is a research assistant professor at UAS who studies how carbon flows through watersheds. 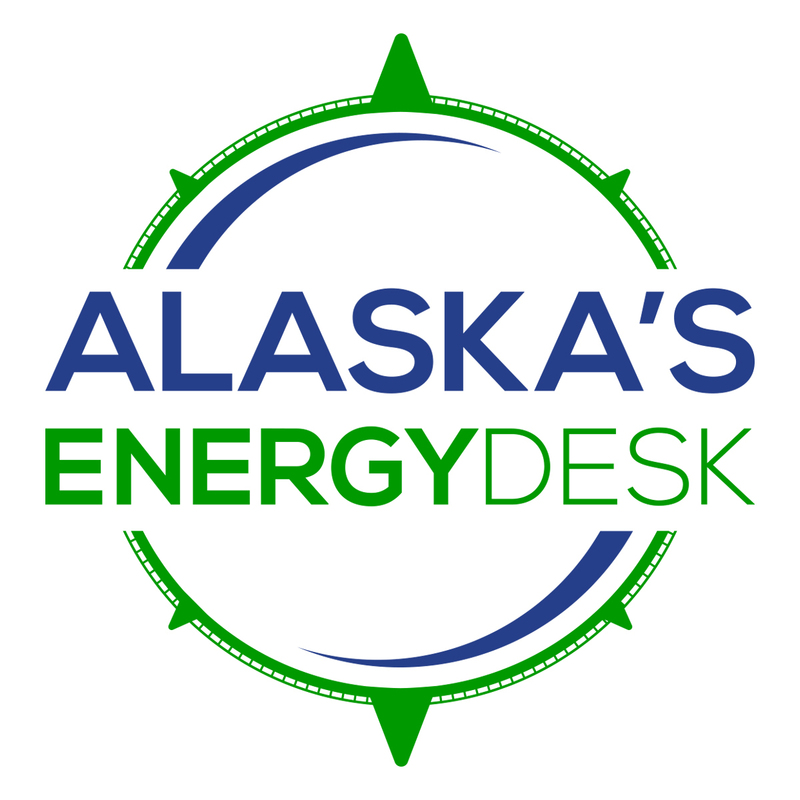 He participated in the first-ever effort to sample black carbon from multiple locations on the Juneau Icefield, high above the Capital City. 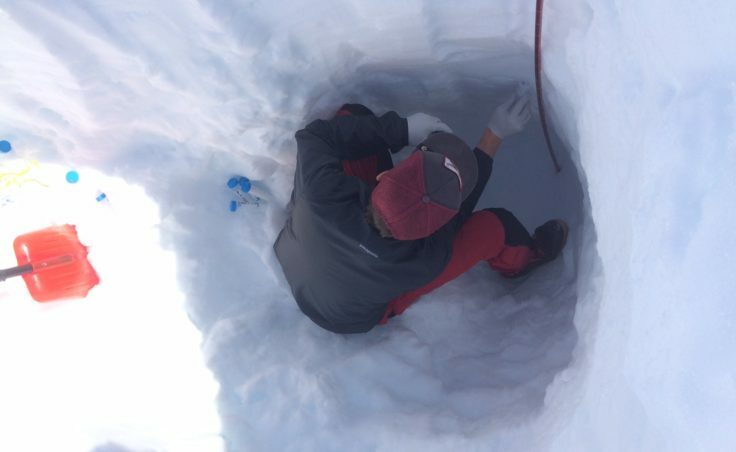 In the early spring, Fellman and his colleagues took surface samples and dug snow pits down about a meter. That gave them an idea of how much black carbon had fallen with the winter and spring snowfall. They returned to the same sites in the summer to find out how much black carbon had accumulated without being deposited by precipitation. Looking closely in these bags of snow, you can’t see the microscopic particles of black carbon, otherwise known as soot. “Visually, it’s really hard to see and they’re pretty small, I think, for the most part,” Fellman said. The total amount of black carbon in the atmosphere is still the subject of ongoing research and debate. But you probably see it in its concentrated form every day. “If you look at the particulates coming out of a really dirty burning diesel engine like a truck, down the highway it accelerates and you see this black smoke coming out. That’s almost completely black carbon that’s coming out of that engine,” Sarah Doherty said. Doherty is a senior research scientist specializing in atmospheric sciences at the Joint Institute for the Study of the Atmosphere and Ocean in Seattle. Doherty said black carbon emissions are a public health issue. They’re also a major factor in climate change. But Doherty said you can’t just slow down the earth’s warming by removing black carbon from the atmosphere or all burning sources. “That component contributes a lot to climate warming. But you can’t just remove that component without removing other components that also affect climate,” Doherty said. Any type of burning source also produces organic carbon and sulfates that may scatter light and cool the climate. Doherty said black carbon particles do not break down in the atmosphere. But they’re also chemically inert, meaning they do not react with other substances. If any significant deposits of black carbon settle on snow and ice, Doherty said it could kick off more melting in a positive feedback loop. 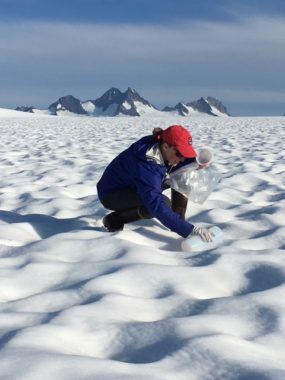 Sonia Nagorski, a UAS assistant professor of geology who helped with the sampling on the Juneau Icefield, said – despite their very small size – black carbon particles can retain additional solar energy as they settle on the snow and ice and accelerate melting of glaciers. The UAS sampling project aims to answer two big questions: How is the black carbon affecting the melting of Juneau Icefield’s glaciers? And, is it coming from nearby in town or maybe from across the Pacific Ocean? Once it’s determined exactly how much black carbon is being deposited, then UAS professor of environmental science Eran Hood said they can figure out how much – if at all – it’s affecting the icefield’s albedo, or how much solar energy is reflected back into space. “What we’ve seen so far on the icefield are pretty low concentrations relative to other places on earth where they’ve measured this in Asia or the Pacific Northwest or things like that where there are more localized sources than we have here,” Hood said. The black carbon will also be radiocarbon dated to give a rough idea of its age and determine if it’s anthropogenic, a fossil fuel source, or biogenic, meaning from burned wood. Hood said it’ll also be useful to compare the black carbon found on the Juneau Icefield to other relatively isolated locations. “Is most of what we’re seeing just global background or are there some local sources that might be contributing to what we’re seeing up there? Then, in turn, how much of that is going to influence melting of the icefield?” Hood said. Hood said preliminary results of their black carbon analysis should be available early next year.